WELCOME TO THE COMMUNICATION AND HUMANITIES DEPARTMENT SITE! -it’s not all talk! What we say, how we say it, and how we look when we say it are all important – but perhaps not as important as how we listen! Click Communication Courses->above to find out more. – how do the arts relate to our human experience in different times and places? Click Humanities Courses->above to find out more. At BCC at least a three credit course in communication is frequently required in many programs. Many programs also require a three credit humanities course. The Mass Transfer Compact requires 9 credits of humanities or fine arts courses. See the BCC catalog for more information. You can also check out related careers or transfer options above. Need a little inspiration or thought provoking nudge? See the Slide Show and Post Categories section->above right to see more! Which of these statements best describes music? All of the statements seem to be true. 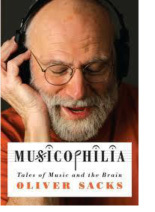 In Oliver Sacks “Tales of Music and the Brain” he says that music can thrill us, calm us, make us cry, make us yearn. Most of us have favorite songs or melodies that can instantly bring us back to a happy or exciting time in our lives or that we can’t stand to hear anymore because of painful memories. Some scientists say that, even unconsciously we move to music keeping time to the rhythm in some way, or expressing in our looks what the music “says” to us. Most of us can “hear music in minds” and even recall melodies from early childhood. We burn calories while listening effectively. We can think faster than someone can talk. It takes real energy to listen effectively! Do you know people who “tire you out” just from listening to them? The average person speaks at about 130 words per minute. So we have plenty of “spare time” to mentally wander while someone is talking. Do you daydream, plan a response, think about your “to – do list”? 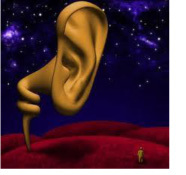 When we decide to really listen, we have to expend energy and make good use of that mental time – anticipate what might be said – listen for something specific, etc. With eyes, ears and the subconscious!